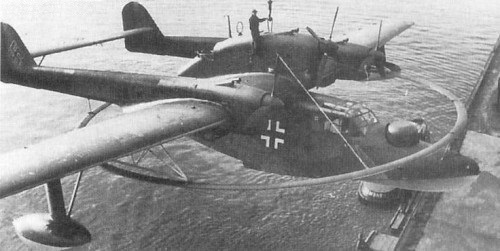 German patrol flying boat. The Blohm und Voss shipyard's aircraft subsidiary was Hamburger Flugzeugbau, so the first two prototypes were designated Ha 138. Both flown in 1937, they were powered by three 600-hp / 447kW Junkers Jumo 205C-4 heavy-oil diesel engines. The third machine, the Bv 138A-01 of 1938, was greatly modified with larger hull and flat (as distinct from gull) wing, and the tail booms were redesigned. Fuel oil was carried inside the tubular main spar. In 1939 delivery began of 25 Bv 138A-1 ocean-patrol boats, but they seldom carried their armament and were soon relegated to transport, serving in this role during the invasion of Norway in April 1940. 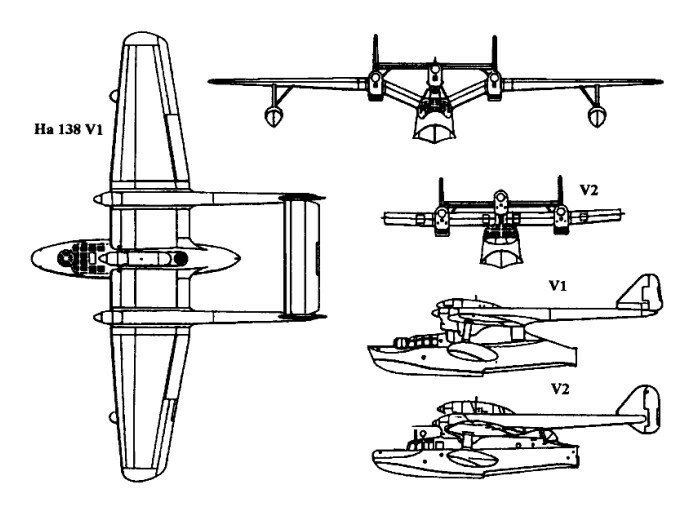 In October 1940, when the A-1 was first deployed to French bases, the 21 Bv 138B-1 began to enter service. These were much better performers, with 880-hp Jurno 205D diesels and a turret at each end of the hull mounting a 20-mm MG 151/20 cannon. In 1941-43 Blohm und Voss delivered 227 of the C- 1 version, with many detail refinements and a 13-mm (0.51-in) MG 131 in an open cockpit behind the centre engine. 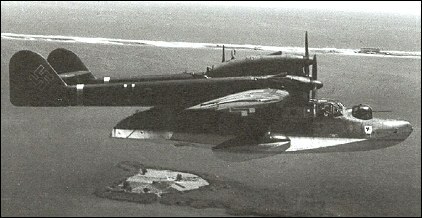 Constant-speed propellers were standard, the centre unit having four blades and the outers reversing for water manoeuvres. The inner wing carried four stores racks, each rated at 150 kg (331 lb), usually occupied by depth charges. The Bv 138 finished its career in a mine-sweeping role, carrying a large degaussing "hoop" around its fuselage to explode magnetic mines. A total of 273 production Bv 138s were completed. Armament: 2 x 20-mm MG 151/20 cannon.